The U.S. response to Russian meddling and disinformation campaigns has not been strong enough to deter Moscow's activities, a top intelligence official says. The U.S. response to Russian meddling and disinformation campaigns has not been strong enough to deter Moscow's activities, a top intelligence official said Tuesday. 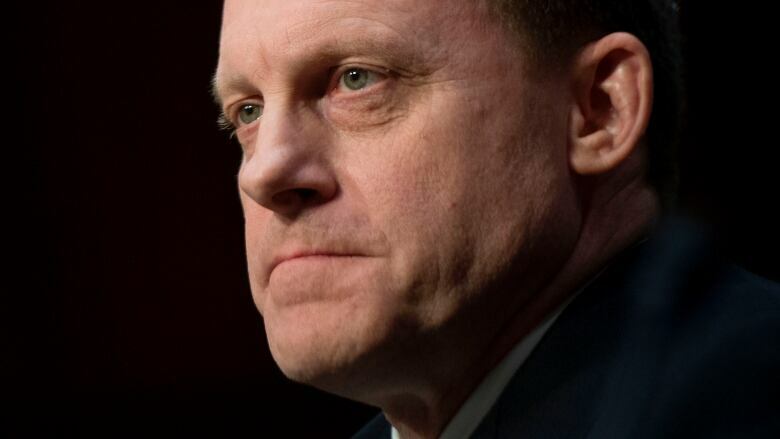 Adm. Mike Rogers, director of both the U.S. Cyber Command and the National Security Agency, said he's taken steps to respond to the threat, but that neither President Donald Trump nor Defence Secretary James Mattis has granted him any additional authorities to counter Russian efforts to sow discord in the United States. White House press secretary Sarah Sanders wouldn't discuss what authority Rogers was referencing, but said the president was looking at ways to prevent Russian meddling. "I can tell you that we are taking a number of steps to prevent this and we are looking at a variety of other ways that we're going to continue to implement over the coming weeks and months," Sanders said. Rogers told Congress that he thinks a more aggressive response is needed, but that he doesn't set policy and doesn't want to tell the president what to do. "I believe that President [Vladimir] Putin has clearly come to the conclusion that there's little price to pay and that therefore, 'I can continue this activity,"' Rogers said. "Clearly what we have done hasn't been enough." Rogers' statements fuelled Democrats on the committee. "We're watching them intrude in our elections, spread misinformation, become more sophisticated ... and we're just, essentially, just sitting back and waiting," said Sen. Jack Reed of Rhode Island, the ranking Democrat on the committee. Rogers said he didn't fully agree with the characterization that the U.S.was just sitting back and waiting. But he said: "It's probably fair to say that we have not opted to engage in some of the same behaviours that we are seeing" from Russia. Rogers said he doesn't have the day-to-day authority to try to deter Russian activities at their source. He said that authority is held by Trump and Mattis. "There are some things I have the authority to do and I'm acting on that authority." He said U.S. sanctions and recent indictments of Russians have had some impact. But Rogers said: "It certainly hasn't generated the change in behaviour that I think we all know we need." Earlier this month, Democratic Senators Richard Blumenthal of Connecticut, Bill Nelson of Florida and Jeanne Shaheen of New Hampshire sent a letter to Mattis urging him to order the U.S. Cyber Command to prepare to engage Russian cyber operators and disrupt Russian activities if they conduct any clandestine influence operations against the upcoming midterm elections.